In our last post, we outlined the difference between a career and a job, concluding that professional development is the cornerstone of transforming what could be a routine job into the career of your dreams. Professional development, we argued, is what makes the difference between simply doing your job well and turning what you do for a living into a career you love. But there’s a great leap between uncovering a passion and turning that passion to profit. Before you can become a financier, for example, you must first take actionable steps to land your first job in that career track and even earlier still discover that you have a knack for math and numbers. To ensure you’re on the right path to fulfill your career ambitions, you must first discover what drives you, outline viable ambitions, and finally make sure you’re taking the right steps to get you where you want. Passion is the fuel that powers arguably every decision we make in life. Many great things start with a passion, from running a marathon, to stepping out on your own to build a business, to simply making a career shift. 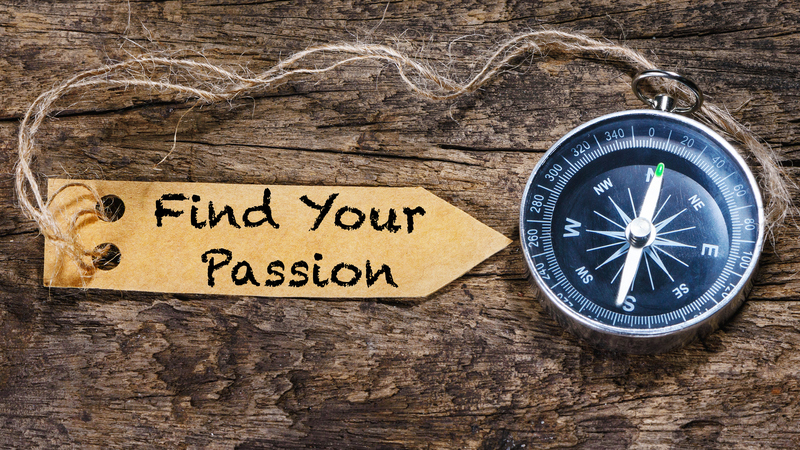 Passion should be something that governs every task, step, and decision you make professionally, meaning it needs to be something you both excel at and enjoy. But there’s a vast difference between a hobby and a passion, which is the crucial distinction between making something a weekend pastime and a career. Keep an open yet practical mind about the things that drive you and you’ll be well on your way to career fulfillment. If passion is looking within, ambition is looking to the future. Where do you want to be in 5, 10, or even 20 years? Where do you see yourself? What do you see yourself doing? The answer to these questions is the key to outlining short-, medium-, and long-term goals to turn your passion into a career. If passion is your fuel, then your ambition is your destination; you won’t get anywhere without either. Do a little research on what it means to launch a career in your chosen field; it may require training, certification, or even special software or equipment. Anything you can uncover now, rather than later, will help you realize your ambition faster. In keeping with the journey metaphor, making sure you’re walking the right path is the final step in the equation. You could have fuel and a destination, but if you’re not on the right path, you’ll never get there. This means making detailed plans, seeking out qualifications necessary to make your dreams into reality, and talking to those in the field for insight. But getting on the right path can be tricky and there will be inevitable detours or unplanned stops along the way, so while it’s important to keep your eye on the prize, flexibility is equally important to getting you there. Be open to new advice and criticism, other people’s insights may open your eyes to something new and set you on a better path. With these three concepts clearly defined and top of mind, there’s only one key missing ingredient: motivation. There isn’t a single person on earth succeeded in following their dreams who wasn’t motivated. Great careers are built on the back of unwavering dedication, so be proactive and take one step every day that gets you closer to your goal. That may be taking an online class, attending networking events, or simply doing some online research – whatever it is, the fruits of your labor will eventually pay off in spades, and you’ll be on your way to getting paid to do exactly what you love.